Police investigating the disappearance of a pensioner in the south of Scotland are in talks with officers in the Isle of Man after the discovery of a body. DNA tests are being carried out on a man's body found washed up on a beach on the north of the island last week. Officers have informed the family of Gavin Tait, 74, of the discovery but they stressed the body has not yet been identified. Mr Tait was last seen in a shop near his Wigtown home over four weeks ago. He was reported missing by a neighbour on 6 April. In a statement, Police Scotland said: "We are aware of the discovery of a man's body on a beach on the Isle of Man on Wednesday morning. "As part of our investigation we are liaising with staff from Isle of Man Constabulary as they attempt to establish the man's identity. "We have informed Gavin's next of kin of this development, however we must stress the identity of the man's body has not yet been established." The body was discovered on Dog Mills beach on the Isle of Man on Wednesday 10 April. A spokesman for Isle of Man Constabulary said DNA had been taken from the body and submitted to the missing person's database in a bid to identify him. Police, search and rescue dogs and Galloway Mountain Rescue Team have been involved in a search for the pensioner, who has been described as "reclusive". 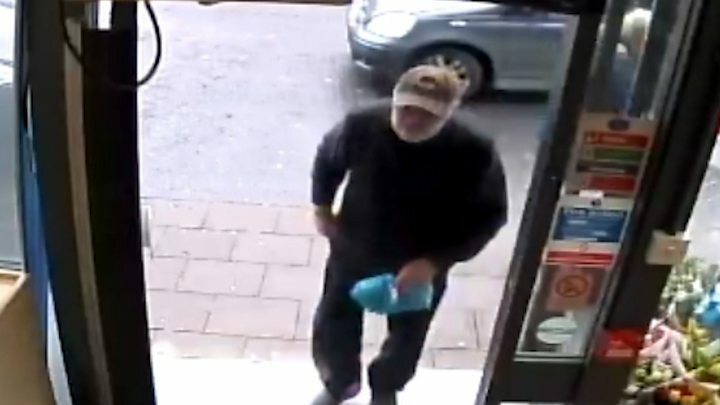 Officers have released CCTV of Mr Tait's last-known movements in a local shop on Thursday 14 March. A receipt for the goods he bought and his wallet were later found at his home. Police want to speak to anyone who saw a man walking on the B733 Wigtown to Kirkcowan Road between 19:30 and 20:00 on Friday 15 March. Mr Tait is described as 5ft 10in tall, has a beard and always wears a cap.